Certeza means certainty. 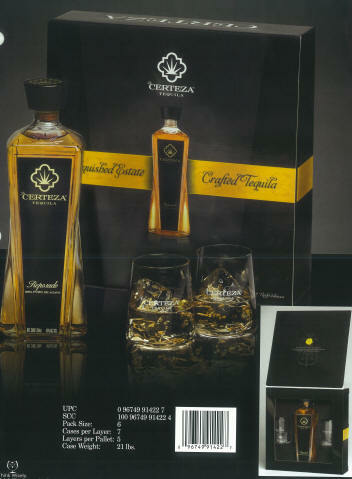 It is the culmination of the perseverance and unwavering dedication of its makers - the embodiment of exceptional tequila. So refined, so exquisite, that it has been kept a secret from the rest of the world for over 200 years... until now. 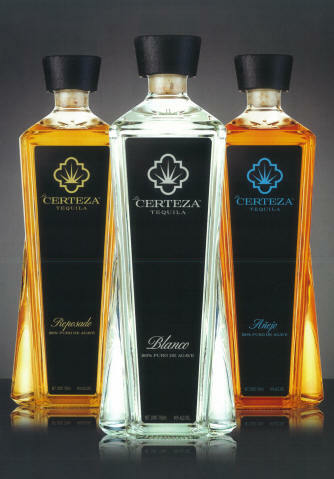 La Certeza tequila's are 100% estate-grown, distilled, aged and bottled in Tequila, Mexico, delivering award winning taste good enough to sip. Double distilled and unoaked, embodying flavours of the purest agave. Highlights of black pepper and citrus. Undeniably smooth and delicious. Rested double distilled small batch tequila. Aromas of vanilla and butterscotch with sweet blends of cinnamon and citrus. Smooth rich finish. Patiently aged and double distilled in Cognac stills. Blending of authentic tastes of roasted peppers, toasted almonds and vanilla beans. Ultra small batch.